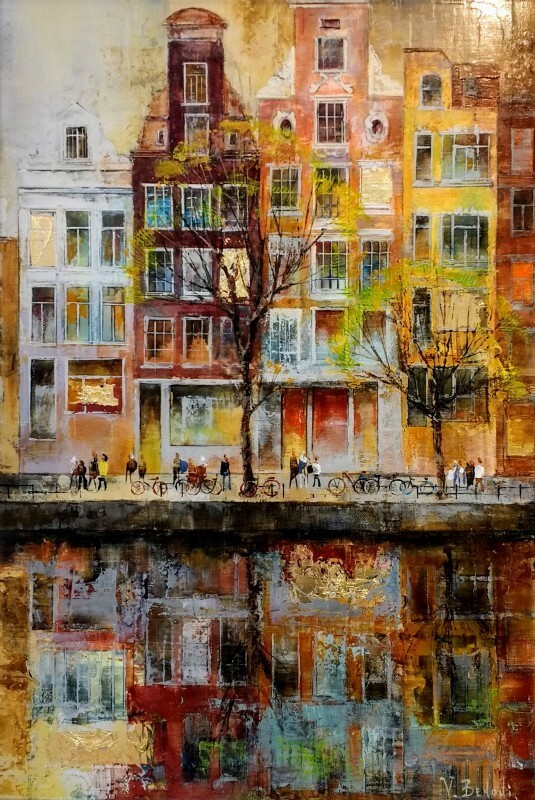 Veronika Benoni original, mixed media paintings. 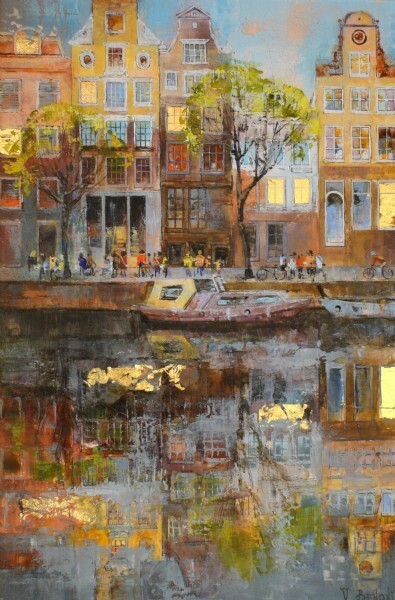 Veronika Benoni liked painting from her childhood. On taking the decision to become a painter, she appreciated that this would require a lot of long and hard study but Veronika was greatly supported in her intention by her Grandpa - an architect. Memories from her childhood connected with the painting and conversations with her Grandfather remain the strongest influence on her life. She studied at the College of Arts in Leningrad and graduated from the college but continued her studies attending the classes in the USSR Academy of Arts. During one of her summer vacations, which she tried to spend at home near the seaside, she met Ulian Benoni. Their interests coincided and they turned to jewellery art, for some time, as silversmiths, where jewellery pieces designed by Veronika and Ulian became bestsellers in Moscow and Leningrad jewellery stores. The renowned Central House of Artists in Moscow exhibited their work. 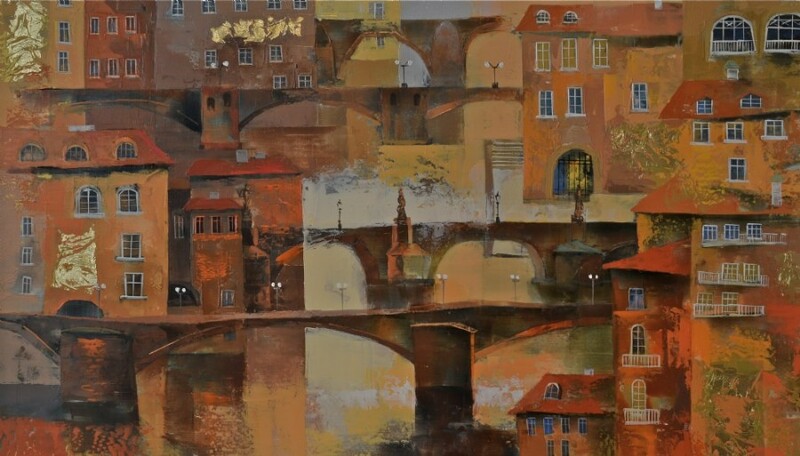 The political instability of the then Soviet Union led them to Prague where they settled in 1994 and Veronika painted and sold pictures strongly influenced by old Prague itself with its fascinating streets and architecture. In 1998 Benoni established their school of graphics and painting. 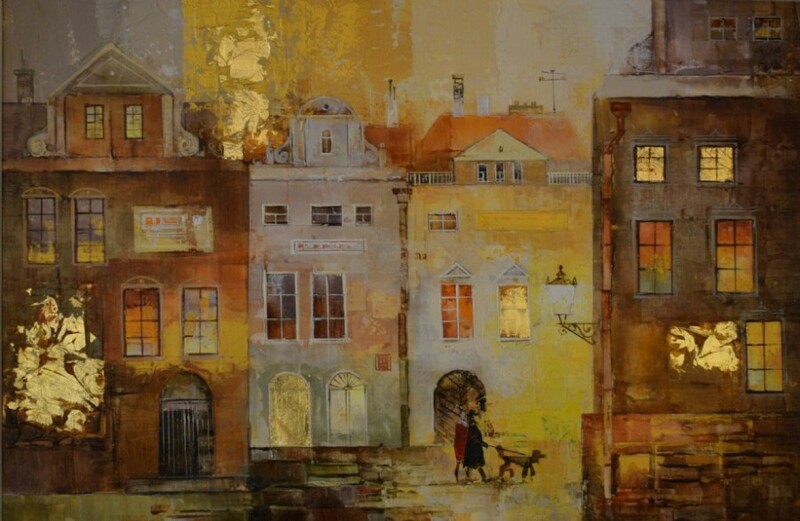 In the year 2001 they opened their first picture gallery in Mala Strana, Prague.